C.R. Jackson is dedicated to creating safer roadway conditions for the traveling public through the construction of highway and secondary road projects. Our forces have built, paved, and repaired countless miles of roadways in South Carolina. C.R. Jackson has been performing land clearing and grading services for the past 40 years. Our highly-trained operational staff can expertly clear a raw piece of wooded property, remove trees to prep the site for other processes (such as asphalt paving and storm drainage), and grade the land according to design plans. The C.R. Jackson team has the experience and ability to provide a full range of utility services for any project. We have completed projects that range from installing the entire underground utility systems in new subdivisions to completing 100 miles of water line installation for a local municipality. C.R. Jackson operates six state-of-the-art asphalt plants located strategically across South Carolina to meet the demands of the DOT, private industry, and commercial development. We manufacture asphalt and operate with top-of-the-line computerized paving equipment that enables operators to create smooth, even roadways. C.R. 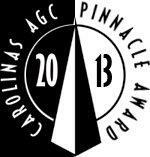 Jackson, Inc. was awarded the Carolinas AGC 2013 Pinnacle Award for Best Highway Project for Best Highway Project on February 1, 2014, for the Safety Improvements to 13 separate intersections in central SC. Pinnacle award winners exemplify CAGC’s mission: "Advancing the construction industry to enhance the quality of life and deliver a sustainable difference in the Carolinas." C.R. Jackson, Inc. is a strong advocate for safe roadways for South Carolina citizens and its visitors. The need for improvement grows more and more urgent with each passing day. This video highlights the concerns that so many have and it validates the reasons our state should find the resources to Fix Our Roads. Columbia, Darlington, and Myrtle Beach. Columbia, Florence, Myrtle Beach, Sumter, Jefferson, and Varnville. Click on the points in the map right to view detail. Our affiliate company, N.W. White & Co., is a professional trucking and materials hauling firm with 6 offices in SC. C.R. Jackson offers its clients unmatched industry experience and a complete site service package including land clearing, asphalt paving, storm drainage, roadway construction, and design-build.